You can use serums daytime and/or at night. For morning use, I generally prefer a serum to contain antioxidants such as Vitamin C. For nighttime, I look for serums with Retinol and peptides. This type of program gives the the best results for optimizing your skin. From Elemis, Pro-Intense Lift Effect took 3 years to develop and was designed to retain the facial structure and preserve the moisture levels of mature skin to keep it from sagging and to ensure it is able to perform at its most optimal ‘dermal-epidermal junction’ level. In clinical studies, over 60% of women saw an improvement in cheek sagging (when assessed at 28 days). Pro-Intense Lift Effect is wonderful for winter use, as it has a thick, lotion consistency. I absolutely recommend this serum if you’re concerned with sagging skin. $130. Always a favorite, the latest serum from bliss is called firm, baby, firm. This skin renewing serum is packed with actives in a water-free aloe base; there’s nothing else like it! In addition to Gardenia phyto stem cells, which boost elasticity and collagen, the formula contains cell-targeting peptides that plump skin from the inside out and the aloe base helps with hydration. I do like the bliss skin care products, as they’re always innovative and performance-oriented. 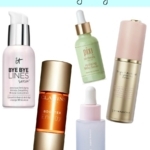 If you’re new to serums or an anti-aging regimen, Firm, baby, firm would make a great choice. $75. 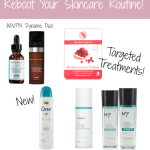 StriVectin makes some of the best serums and one that I’m really excited to tell you about is new StriVectin-AR Advanced Retinol Night Treatment. A breakthrough formula that includes NIA‐114 (Nicotinic Acid) to boost Retinol’s anti-aging benefits and strengthen’s the skin barrier to reduce sensitivity often associated with its’ use. 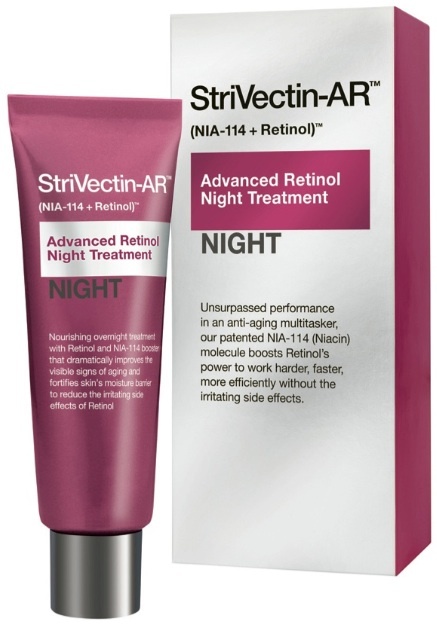 It’s true…I experienced absolutely no irritation and StriVectin-AR Advanced Retinol Night Treatment didn’t dry out my skin like some retinol products. Excellent nighttime treatment; I’d rebuy this one in a minute. $109. Elizabeth Arden Visible Difference Optimizing Skin Serum is one that I really like, because it’s specially designed for Combination Skin. Those types of advanced formulas can be difficult to find, so I appreciate having a serum that is custom-designed for my skin type. The Visible Difference Optimizing Skin Serum formula contains Retinyl Linoleate:, a retinol derivative that gently and effectively retexturizes skin, improves skin tone and skin clarity, while Vitamin C provides antioxidant protection and Sodium Hyaluronate helps keep skin moisturized, supple and comfortable. All with no irritation. $49.50. Clarins Double Serum is a revolutionary new serum that was just launched. Coming in a dual-pump chamber, Double Serum dispenses two serums (a water-based and oil-based formula) at once! 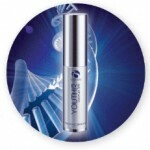 This advanced serum address hydration, nutrition, oxygenation, protection and regeneration of the skin’s functions. What’s even more impressive is that in the clinicals, Clarins Double Serum performs on-par with Retin-A, in terms of firming, smoothing and appearance. In my use, I have found this to be a wonderful serum, especially this winter, as my skin has been so dry. $85. 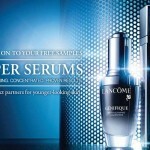 Do you regularly incorporate a serum into your anti-aging regimen? Which one? Let me know in the comments! Disclosure: Press samples for some of the products have been provided by the brand/PR for editorial consideration, product testing and review. Affiliate links have been used in the post, which means a small commission is earned. This helps to support and maintain Beauty411.net. I have always wondered about the benefits of serum. There are definitely some good ones to choose from in this post! Glad it was helpful! Any good serums at lower price point?